Last night we got a great piece of news from Bioware during the PAX presentation. In conjunction with that a certain video was released teasing the crowds about unraveling the past of Darth Revan. 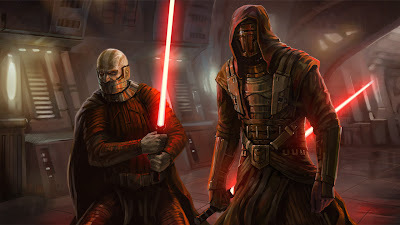 His fate has left many fans pondering certain questions about what was the outcome of his venture into the Unknown Regions & what else that may have happened after his final battle on the Star Forge with Darth Malak. With this video it appears we will be able to venture into his complex and find out what may have happened to him and at the very least uncover some much eagerly anticipated information. Make sure to watch the video towards the end as a very special droid appears, whom has a tendency to call people "meat bags"